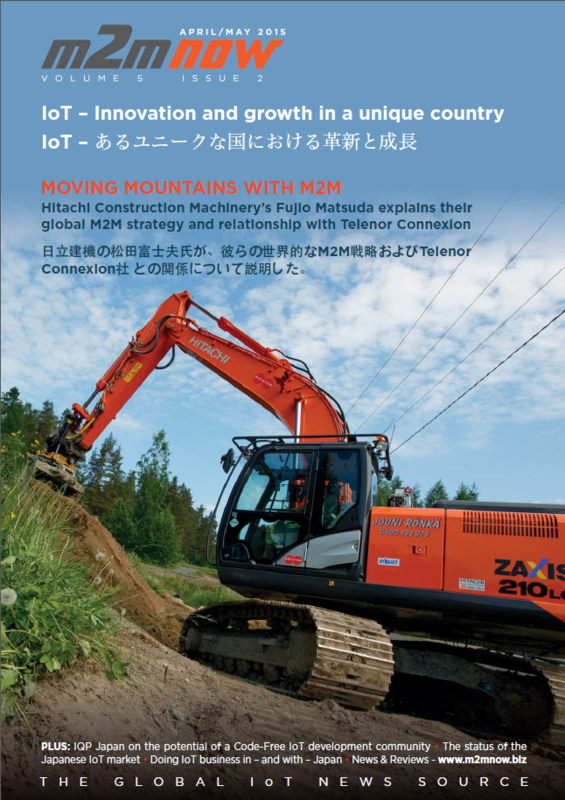 For Hitachi Construction Machinery (HCM) the application of an M2M strategy over the last few years has, quite literally, allowed them and their customers to move mountains. As one of the world’s leading manufacturers of the heavy plant and machinery used in construction, mining, forestry and other heavy engineering industries, HCM has long been recognised as a major innovator in the use of M2M in its sector. Currently operating globally, HCM relies on Telenor Connexion to provide essential connectivity and consulting services. Working closely together, they’re able to keep HCM’s plant and machinery operating more efficiently, cost-effectively and securely than its competitors, while simultaneously creating added value for the company and its customers through the development of new business models, services and machines. “We needed a partner with asset management experience, who were also able to create a flexible business model based on building a long-term relationship based on mutual trust”, said Fujio Matsuda, general manager at HCM’s Global Business System Centre and IT Promotion Division to M2M Now’s Alun Lewis in a recent interview. Download the full M2M Now interview with Mr. Matsuda below!